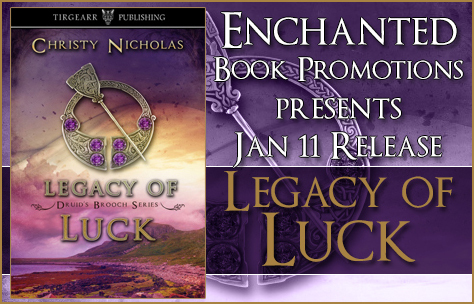 Win a copy of Legacy of Hunger, the first book in the series. 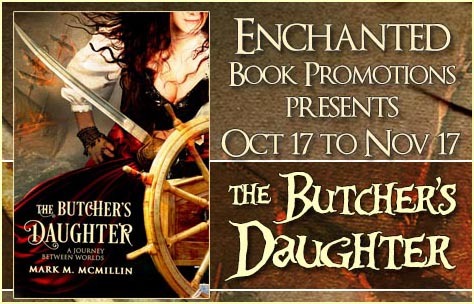 Today I’m hosting a guest on my blog – Mark M. McMillin, author of The Butcher’s Daughter, who talks about the editing process. I’ll leave the word to Mark now. Thank you for this question. I will skip over block and tackle type editing (punctuation, spelling, grammar, formatting, etc.) as we all know how to do this. It certainly helps to have a second pair of eyes for these types of matters. As for hiring a professional editor for style, plot, character development, etc., this is very pricey (and seems somewhat risky to me as even a top notch editor may not be the right choice for your particular work depending on your writing style or the subject material/genre of the book). For this reason, I pretty much edit my own material. I figure that I either have the skill to write or I don’t and if I don’t, no editor is going to be able to fix that. I don’t know if how I do it is right or wrong, I have no doubt many writers are better at editing than me so you should take the following advice with a ‘grain of salt.’ Ah, my first suggestion in editing: when you see a cliché, rewrite! Editing can be tedious and time consuming. I’ve spent hours trying to figure out how to correct just one sentence or where exactly to place a comma. Maybe that makes me a poor writer, who knows. I’ve written four books. Each book took between six to twelve months to write – the rough draft – and then I spend another year or so editing and rewriting each book at least a half dozen times. I probably wrote 200,000 or 300,000 words to get a 100,000 word finished product. Be prepared, after you think you finished your manuscript, to spend long hours slicing and dicing and polishing your work over and over again. Too much description I think is boring, too little is dull. I try hard to find the right mix. Sometimes I think succeed. Finally, write as you want to write. I wouldn’t listen too much to the so-called experts out there. I’ve had some professionals over the years tell me that my books are too long, others that they are too short. Some have told me that my character development needs work but that the dialogue is wonderful and authentic, others that my character development is wonderful but that the dialogue is weak. Some professionals thought my style is too complex – others that it is too simplistic. You get the idea. (Everyone at least liked the plot!) Write as you want to write (but don’t ignore all the critics either, especially if there is general agreement in the criticisms)! Well, I’ve gone over my 500 words! I welcome any contrary thoughts and – best of luck! Mark is an attorney by day and an author by night. He has always had a passion for history and writing. The Butcher’s Daughter is his fourth book. Mark began his career with the military. He is a veteran of the “Cold War” and served with the 11th Armored Cavalry Regiment in Germany. Mark currently resides in Atlanta, Georgia and is the general counsel for an airline and freight forwarding company. Only my whole life. And that is getting to be a very long time. Twains’ End is a stand alone. I’m going to say right here that I don’t write series…which, if my personal history serves as an indicator, will guarantee that the next work I write will be a series. I’m fascinated with how we humans tick. I’d say I’m more interested in psychology than history, yet what better subjects to explore our follies and strengths than famous people from the past? I also have to admit that I love the detective work involved in digging into the lives of these famous folks. I’m an incorrigible snoop. Write every day. Constantly seek to improve your work. Enjoy the magic of creation. And last, don’t be discouraged when the writing won’t come. I’d say 90% of my writing time is spent spinning my wheels. Only because I’ve been doing this a million years do I know to not panic—that 10% of good stuff will come if one hangs in there. 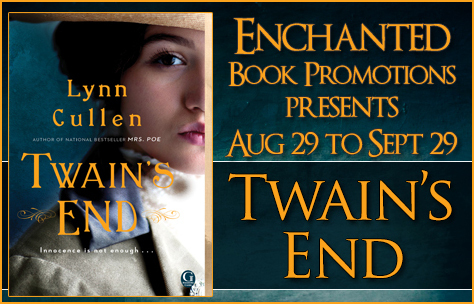 Now in paperback for the first time from the national bestselling author of Mrs. Poe, Lynn Cullen, comes TWAIN’S END (Gallery Books; June 7, 2016; Trade Paperback; $16.00), a fictional imagining of America’s iconic writer Mark Twain and the woman who knew him too well. In March of 1909, Mark Twain cheerfully blessed the wedding of his private secretary, Isabel V. Lyon, and his business manager, Ralph Ashcroft. One month later, he fired both, wrote a ferocious 429-page rant about the pair, and then—with his daughter, Clara Clemens—slandered Isabel in the newspapers, erasing her nearly seven years of devoted service to their family. In TWAIN’S END, Lynn Cullen “cleverly spins a mysterious, dark, tale” (Booklist) about the tangled relationship between Twain and Lyon. A silenced woman, Isabel’s loyal service and innocence were not enough to combat the slander, and she has gone down in history as the villainess who swindled Twain in his final years. She never rebutted Twain’s claims, never spoke badly of the man she called “The King,” and kept her silence until she died in 1958. How did Lyon go from being the beloved secretary who ran Twain’s life to a woman he was determined to destroy? TWAIN’S END explains. Lynn Cullen lives in Atlanta surrounded by her large family, and like Mark Twain, enjoys being bossed around by cats. Follow Lynn Cullen on Facebook or visit www.lynncullen.com. Have you been writing for a long time? Can you tell a little bit about your career? Yes, the first thing I’m known to have written is a poem to my father when he was away in the army. I was about 9 or 10. In my teens I kept a diary (threw it away years later- it seemed so narcissistic) I studied classical literature, history and philosophy at Oxford, then more philosophy at Princeton and settled on a career as a philosopher. My literary work has always been interspersed with philosophical writing. I guess it was because of that mix that I wrote a book on the philosophy of literature, although I’ve written lately more literature than philosophy. I was appointed as a very young philosopher to teach in Indonesia and that’s where I got my interest in Asia, returning there (to Hong Kong) after spending some years teaching in England. Hence many of my novels are set in Asia. I don’t honestly know. It was just something that I always did and, as I grew up, couldn’t imagine not doing, whether it was writing philosophy or novels. I have started on a sequel, which will follow the characters in their later lives, which are pretty eventful. I didn’t. I don’t sit down and consider what genre to write in. An idea for a story comes to me and I try it out. If I find I’m increasingly taken by it, I keep going. That’s what determines what genre I write in. Don’t do it unless you feel you have to. Don’t try to live off it, unless you just want to write what the market (thinks it) wants. If you happen to become very successful (ie please the reviewers and sell a lot of books), fine. But don’t aim at it, Aim at writing the best book you can and let the market and reviewers do what they do. It’s far better to have written a good book that never gets published than an inferior one that does. Are you a plotter or a fly by the seat of your pants writer? It depends. Sometimes, as with The Kaminsky Cure, I have a fairly detailed outline in my head before I start (although it may change as I go along). At other times the outline is pretty hazy – I know where (I think) I want to get to, but how exactly I get there is still not clear when I start. My novel Shanghai is somewhere in the middle, while the one I’ve just finished, Chinese Spring, is nearer the other (hazier) extreme. Do you mean the record number I’ve written or the daily average? And do you mean the first draft or subsequent ones? (Sorry, as I said, I’m a philosopher.) Either way, I don’t know. I know some writers (Graham Greene, supposedly) set themselves a target and then take the rest of the day off. I can’t work like that. Some days I’m stuck and the words come very slowly (and may be erased the next day). That’s generally the first draft. Other days things go faster, especially on later drafts (there are many drafts before I’m satisfied). That depends on what day of what week you ask me and at what time of the day. -Well, that’s an exaggeration, but our tastes certainly do change with time. I think Anna Karenina would probably be one that I’d very often say was my favourite (sorry, favorite). But ask me next week, after I’ve re-read it, and I might answer Ulysses. 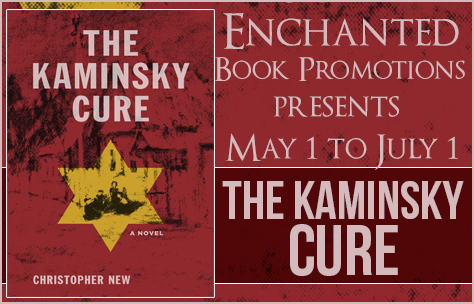 The Kaminsky Cure is a poignant yet comedic novel of a half Jewish/half Christian family caught up in the machinery of Hitler’s final solution. The matriarch, Gabi, was born Jewish but converted to Christianity in her teens. The patriarch, Willibald, is a Lutheran minister who, on one hand is an admirer of Hitler, but on the other hand, the conflicted father of children who are half-Jewish. Mindful and resentful of her husband’s ambivalence, Gabi is determined to make sure her children are educated, devising schemes to keep them in school even after learning that any child less than 100% Aryan will eventually be kept from completing education. 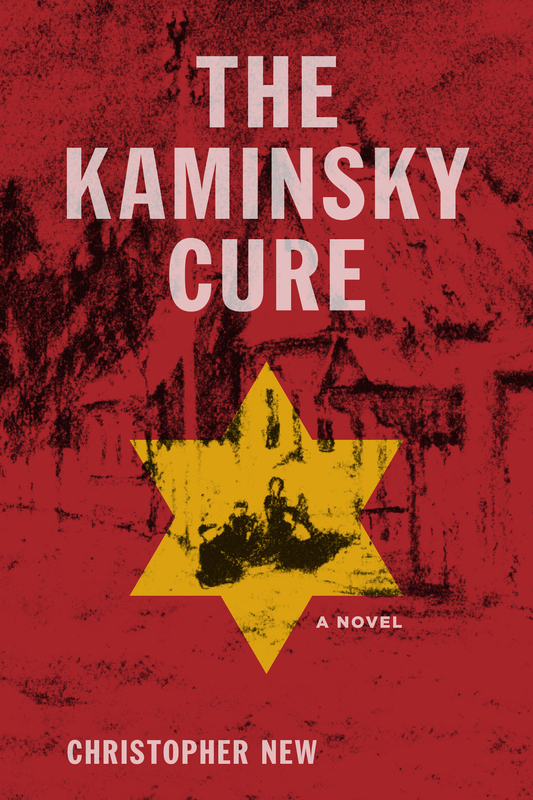 She even hires tutors who are willing to teach half-Jewish children and in this way comes to hire Fraulein Kaminsky who shows Gabi how to cure her frustration and rage: to keep her mouth filled with water until the urge to scream or rant has passed. Christopher New was born in England and was educated at Oxford and Princeton Universities. Philosopher as well as novelist, he founded the Philosophy Department in Hong Kong University, where he taught for many years whilst writing The China Coast Trilogy (Shanghai, The Chinese Box and A Change of Flag) and Goodbye Chairman Mao, as well as The Philosophy of Literature. He now divides his time between Europe and Asia and has written novels set in India (The Road to Maridur), Egypt (A Small Place in the Desert) and Europe (The Kaminsky Cure). His books have been translated into Chinese, German, Italian, Japanese and Portuguese. 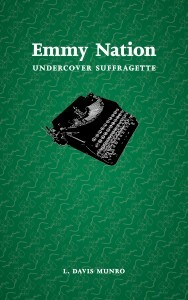 His latest novel, Gage Street Courtesan, appeared in March 2013. 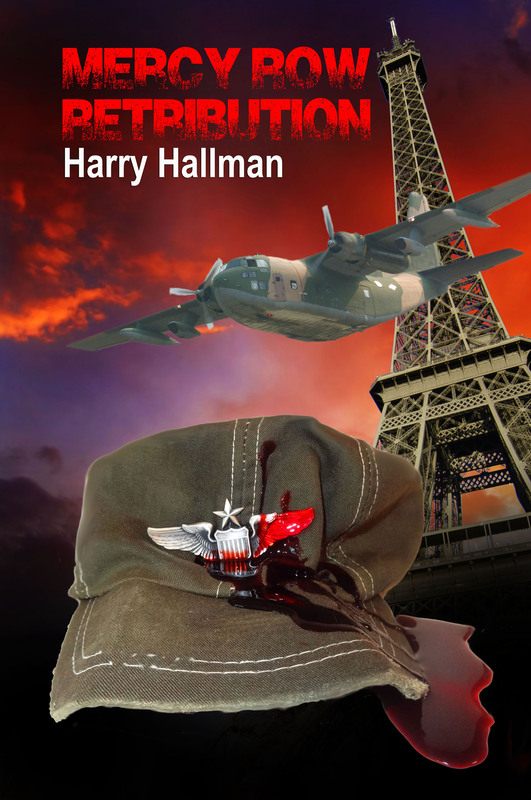 Today I’m interviewing Harry Hallman, author of historical crime fiction “Mercy Row Retribution”. Thanks for taking the time to answer my questions. I started writing fiction several years ago when I was 68. It was something I wanted to do for decades, but family and work took up all my time. I do love the creative process. I love stories whether they are told to me, written, recorded, televised or made into movies. I would hope that if I was born 5000 years ago I would have been one of those wandering story tellers. Maybe I was. 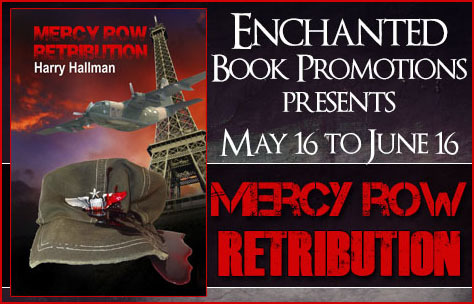 Mercy Row Retribution is the third book in my series Mercy Row. The three books span a time period from 1920 to 1975 and tell the story of a powerful North Philadelphia Irish crime family. The Byrnes family will do anything to protect their family and friends. I like action stories so I wanted to be sure my stories have plenty of mayhem and chaos. Also I grew up in the area of Philadelphia I write about and have met plenty of people who were on the wrong side of the law. It made sense to me to write about crime in Philadelphia. Read, Read, Read. Listen to stories, what they on TV and in the movies. Immerse yourself story telling. Then as Niki says Just Do It. Write and keep writing. Don’t wait like I did. Start when you are young so you can amass a body of work. While you are at it be sure you have a solid career because it is very hard to make money writing fiction. If you are in it for the money, you are in it for the wrong reason. While serving as a pilot during the Vietnam War, Gerry Amota, the grandson of Jacob Byrne, the head of a powerful North Philadelphia Irish crime family, seizes an opportunity to create a lucrative marijuana smuggling operation. It’s 1967 and under the secrecy of a classified military operation and with the assistance of a French Marseille Mob, who owns plantations in Cambodia, he is able to send tens of thousands of pounds of marijuana a month to Philadelphia. His grandfather’s criminal enterprise distributes the drug to a population who has developed and insatiable appetite for the marijuana. A rival French from Paris gang tries to force Amato to buy their product and this triggers war between the Byrne family and the Paris mob. From the steamy jungles of Vietnam and Cambodia, to the streets of Saigon, Paris and Philadelphia the ruthless actions of the Paris mob threatens to destroy the Byrne family. Gerry Amato orchestrates merciless campaign of retribution against his foes in order to save himself and his family. In part two of Mercy Row Retribution, the third book in the Byrne family saga, it is April 1975 and South Vietnam is about to fall to the North Vietnamese communist. Gerry Amato fears that the communists will take revenge on the population and especially children, many of whom are Amerasian, at an orphanage he supported and volunteered at during his time as a Pilot. He orchestrates a rescue mission to retrieve the children and bring them to the United States. This takes him and his team into harm’s way in Thailand, across Cambodia and into worn torn Vietnam and back. The fate of 75 children and 30 adults rest squarely on Gerry’s shoulders. 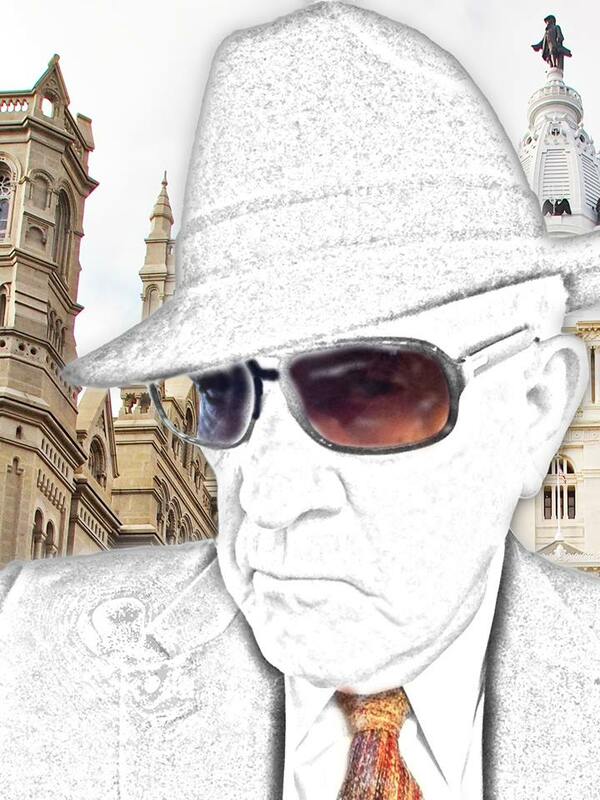 Mercy Row Retribution includes a bonus section of short true stories of the author and his friends’ experiences growing up in North Philly in the 1940s and 50s. This is a true reflection of what life was like for kids from working class families growing up on the streets Philadelphia. Hallman was born in 1944 and raised in the Kensington section of North Philadelphia. Hallman’s father was Harry Hallman, Sr., a champion pool player who also owned a poolroom called Circle Billiards, located at Allegheny Avenue and Lee Street in Philadelphia. The younger Hallman spent many hours after school at his father’s poolroom and watching his father play in other poolrooms in Philadelphia and New Jersey. The people he met, some belonging to the real K&A Gang, influenced his writing of the Mercy Row series. Email Hallman at harry@mercyrow.com. 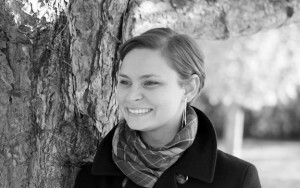 Keep informed at http://www.mercyrow.com or on Facebook at http://www.facebook.com/mercyrownovel. Mercy Row Retribution on Amazon Print, eBook and Audio. Thunder muffles the sound of iron hitting glass. The two women breathe sighs of relief. Saved by Mother Nature herself. More glass breaks away and then they squeeze through the now bare window and land on the other side. The forbidden side. Gertrude and Lilian are drenched after hiding outside in the rain for hours. Stealth and rain seem to go together, but it makes for an uncomfortable time. More thunder. More rain. More wind whipping the building as if it would pick it up, women included, and turn it about. But turning the building about was their job, not the wind’s. The two women peer into the darkness and see flowers. Orchids to be precise, rows and rows of orchids. They are special orchids, precious orchids, and they are the prey. It begins with one pot. Picked up and smashed to the floor. And then it trickles down the line. Planters thrown off their steady shelves, orchids crushed under foot, under pot, under the strength of their long, thin iron rods. Stems snap, petals rip, and soil scatters. Mass destruction of flowers. Suddenly a large crack of lightning comes and thunder follows immediately. Lilian takes the opportunity to smash the glass wall of the greenhouse. Her iron rod reverberates the power in her arms and brings the wall to its knees before her. Gertrude joins in on the wall-smashing, and they send blessings to the grey tormenting skies above for the cover of the storm. Finally, standing back as rain blows in through the torn-down walls, the women see what they have done. Dirt, glass shards, and pieces of clay pots litter the floor. And flowers, broken flowers, paint the picture of chaos around them. Their hands, used to sewing, writing letters to friends, and smoothing back children’s hair, are covered in dirt and their own blood. Their hands will never again be delicate things to be covered in lace gloves or to hold a fan to their faces. Their hands are now the hands of ruin, soldiers’ hands, strong hands, women’s hands. How far are you willing to go to secure your equality? 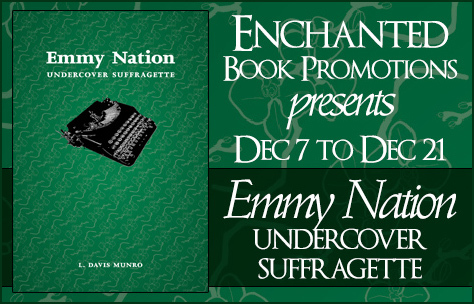 Win a copy of Emmy Nation: Undercover Suffragette. Martin lay on his back with his hands behind his head, and Simone curled against the side of his body with her arm across his chest. In 1917, the mud of Flanders soaked up the blood of a quarter of a million men. If the war continued like that, the Allies would lose. 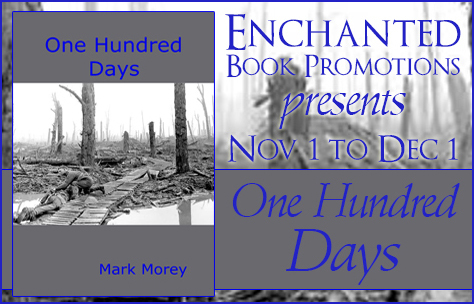 One battle turned that around and was the beginning of a hundred days of advances to victory. This is a story about how that was done. 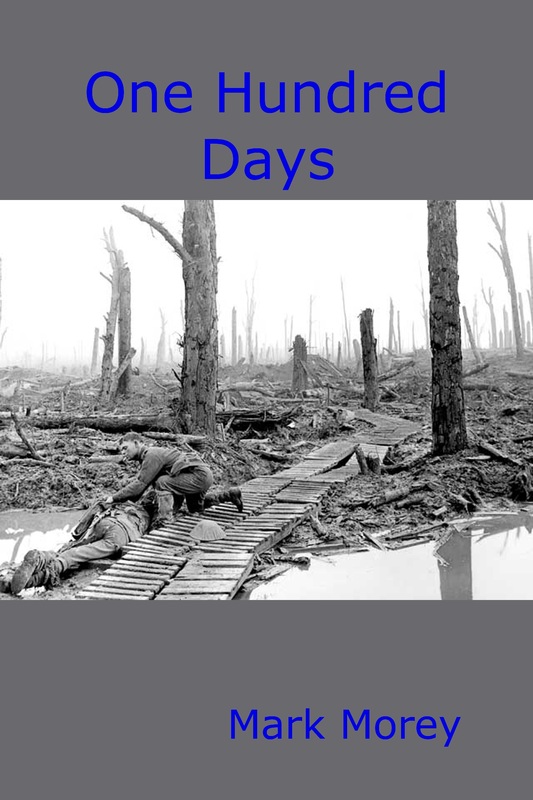 Two Australian soldiers experience the last two years of the Great War. Martin Ward is a lieutenant working alongside Major-General John Monash, and he sees the transition from slaughter at Passchendaele to breaching the Hindenburg Line. Alec Morey is a gunner severely injured in Flanders, and he returns to Australia to watch on in amazement as the Australian Imperial Force plays the major role in victory. 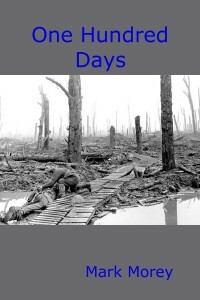 This is a fictional account of a story not well known; using real events, fictional characters and real-life characters to tell the tale of how the Great War was won. I am part-time in the workforce and a part-time author, and writing technical documentation and advertising material formed a large part of my career for many decades. Writing a novel didn’t cross my mind until relatively recently, where the combination of too many years writing dry, technical documents and a visit to the local library where I couldn’t find a book that interested me led me consider a new pastime. Write a book. That book may never be published, but I felt my follow-up cross-cultural crime with romance hybrid set in Russia had more potential. So much so that I wrote a sequel that took those characters on a journey to a very dark place. Once those books were published by Club Lighthouse and garnered good reviews I wrote in a very different place and time. 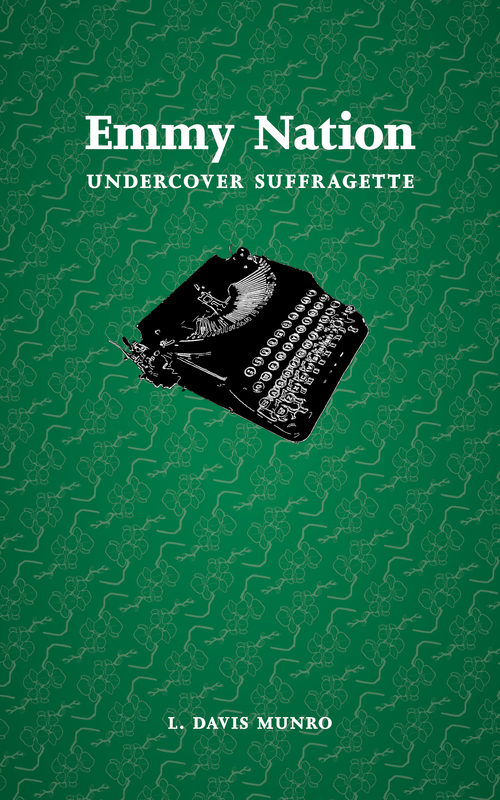 My two novels set in Victorian Britain were published by Wings ePress in July and August of 2014. These have been followed by my story set against the background of Australia’s involvement on the Western Front. Australia’s contribution to the battles on the Western Front and to ultimate victory was well out of proportion to the size of the nation and the size of their force. Once you read this story you will appreciate the great things that our nation achieved.